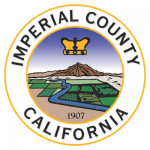 Get an Imperial County Traffic Ticket? You Can Beat It! Did You Get a Ticket in Imperial County, California? You can fight Imperial traffic tickets by getting them dismissed much easier than you may think. In Imperial, California, drivers are allowed to contest a traffic ticket using a Trial by Written Declaration. This is best way to fight a traffic ticket without going to an Imperial courthouse or hiring an expensive Imperial traffic ticket lawyer. We have found this to be the best way to contest a California traffic ticket, period. This option is available to every driver who receives a traffic ticket in Imperial, California. In fact, if you turn over your traffic ticket you will see that a Trial by Written Declaration is listed right on the back of your ticket as one way to fight it. This process has been around since 1978 to avoid having to pay traffic ticket fines. TicketBust has been helping California drivers prepare Trial by Written Declaration’s for over 14 years. In fact, tens of thousands of vehicle tickets in California have been contested using our system. We are the original traffic ticket fighter and the TicketBust system has been developed specifically to prepare all your documents properly based on how you answer a few questions. This way you can fight your ticket, knowing you have maximized your chances of having the court dismiss your Imperial County traffic ticket. TicketBust service will prepare your full defense package for you, which includes your Trial by Written Declaration and all the defense documents required by Imperial traffic court. Fill out the yellow form to fight your Imperial traffic ticket now! Did you know that you aren’t allowed to pass the white limit line when you are stopped at an intersection? From our experience, this can be a common ticket issued in the county of Imperial, so be on the lookout and stay behind that solid white line. If you find yourself having received a traffic ticket in Imperial, give us a call or fill out our form to see how we can help! Spanish explorer Melchor Diaz was the first to visit the area now known as Imperial Valley in 1540. After the Mexican-American War, only the northern half of the valley was annexed by the U.S. while the southern half remained under Mexican rule. Yet it wasn’t until after 1900 that permanent settlement of the area began. The county was the last county established in California, forming using lands from the eastern portion of San Diego County in 1907 and is named after the valley where the county rests. The Valley and, thus, the county received its name from the Imperial Land Company a land colonization company founded in 1900. The company helped establish the California towns of Calexico, Heber, Imperial, and Brawley, as well as Mexicali in Mexico. During the Mexican Revolution, nearly 10,000 farmers and their families were ethnically cleansed by the rival Mexican armies. Many individuals living on the Mexican side of the valley fled to the other side in California, and while many returned home after the revolution, others chose to stay and law down roots in new communities in the U.S. Today, approximately 180,000 residents live and work within Imperial County’s seven cities and eight unincorporated areas. Although the county was the last to be established, it is the ninth largest, spanning over 4,284 square miles of desert. Imperial County has a rich agricultural history that includes the production of half of the United States’ winter vegetables. It is also an opportune area for geothermal, wind, and solar energy production, and a great place for a wide-range of outdoor recreational activities.